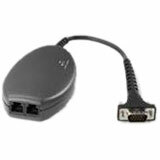 Symbol - Modem Module for MC1000 Single Slot Cradle. Requires modem cable (Part# 25-63856-01R), not included. The Symbol MDM9000-100R is also known as Symbol Technologies	SYM-MDM9000100R	or MDM9000100R	.